Savor excellent sake on “Sado: the Heavy Drinker’s Paradise”! 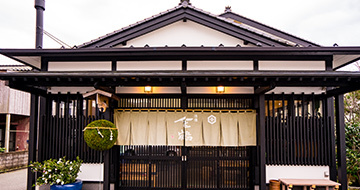 Niigata Prefecture, one of the leading drinking places in Japan, boasts the greatest annual per capita consumption of sake and the largest number of sake breweries. 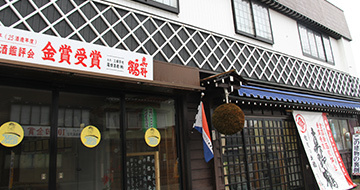 Compared to many areas in Niigata, Sado is said to have a high percentage of Japanese sake lovers. 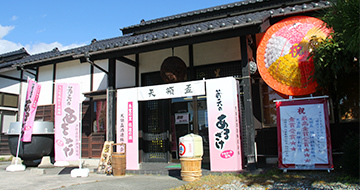 Sado’s sake brewing developed in tandem with its thriving gold and silver mines, and at present five breweries are devoted to sake making, adding a variety of ingenuities to their products. 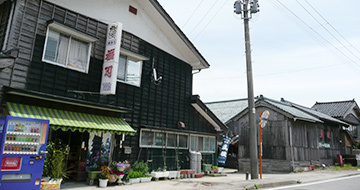 Liquors like doburoku (unrefined, cloudy sake), and those made from Sado’s famous persimmons are produced, too. 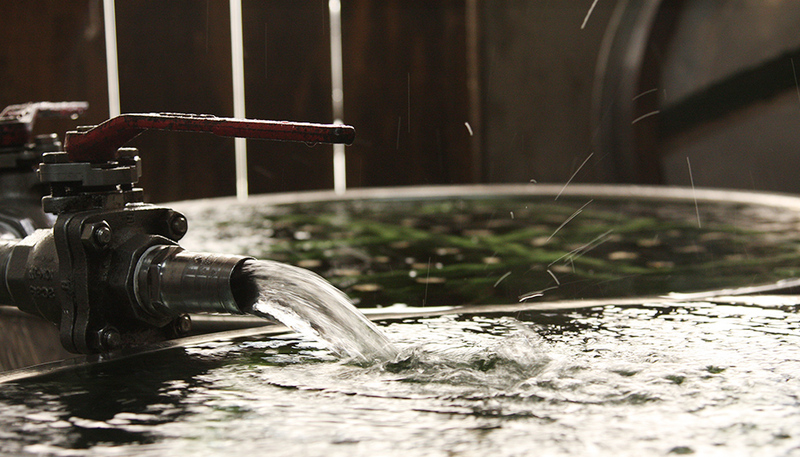 Quality water is indispensable to quality sake brewing. 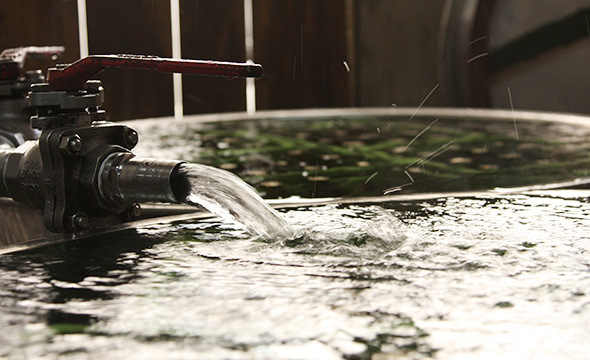 Sado, with both the Osado and Kosado mountain ranges, is a treasure trove of silky spring water, which bubbles up here and there, and contains plenty of nutrients from the earth. Sado’s sake, brewed from that rich water and high-quality sake rice, is highly valued not only on Sado, but in other parts of Japan, too. 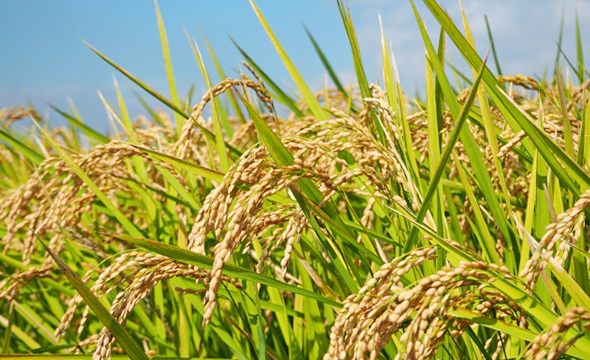 In recent years, Sado’s sake is becoming better-known in many aspects, as it is being shipped both domestically and overseas. 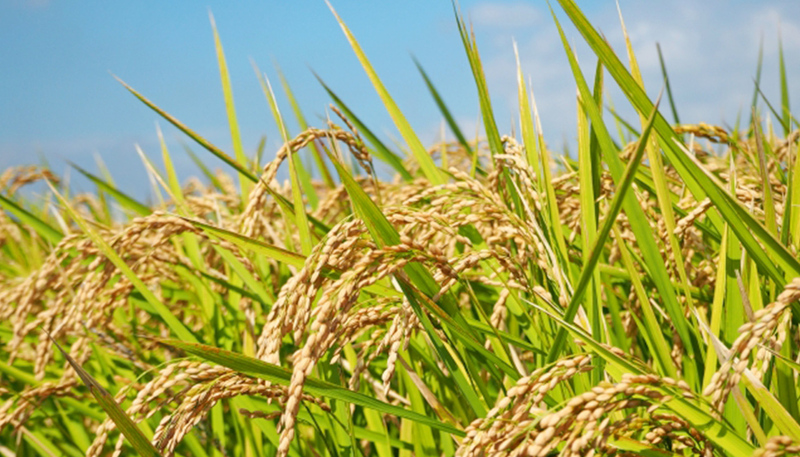 Thanks to blessings brought by nature and the breweries’ tireless efforts, Sado’s local sake continues to evolve. 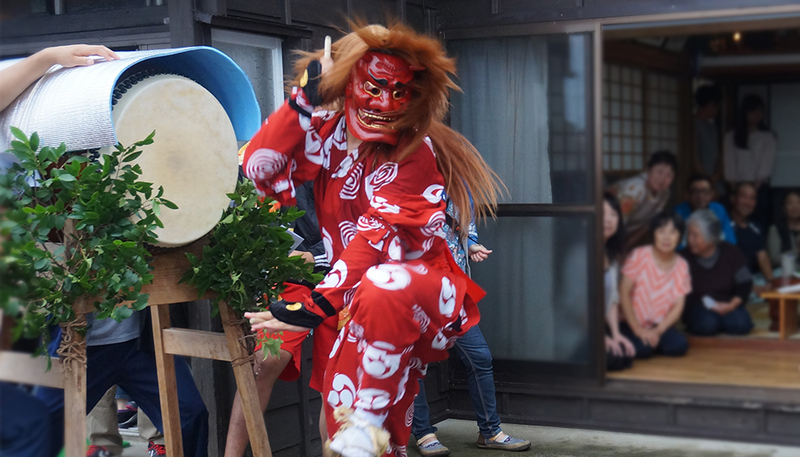 Various performing arts, such as Ondeko (demon dancing and drumming), Lion Dance and Hanagasa-odori (flower hat dance) have been handed down in various regions on Sado, and Sado’s local sake is indispensable to these events. 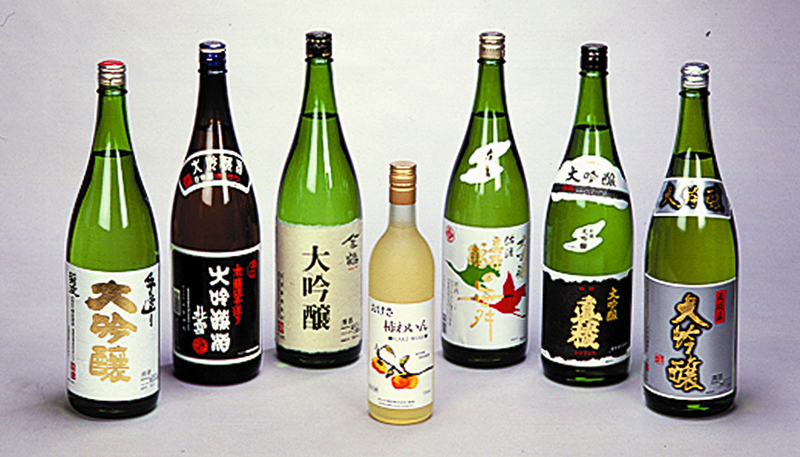 Sake is important in that it connects the people in those regions. On community festival days, bottles of local sake offered to the gods stand in a line at the shrines. 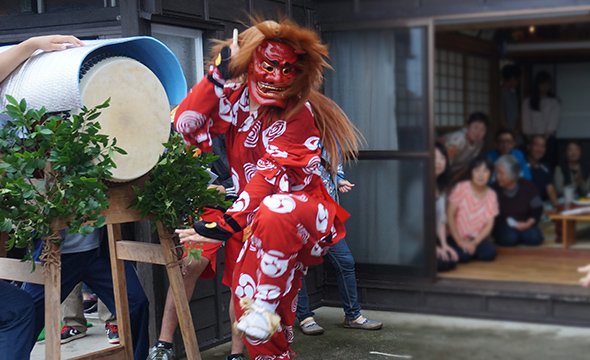 At the time of kadozuke (presenting performing arts from door to door to drive away evil spirits), sake is served by the families, along with tasty local fare. 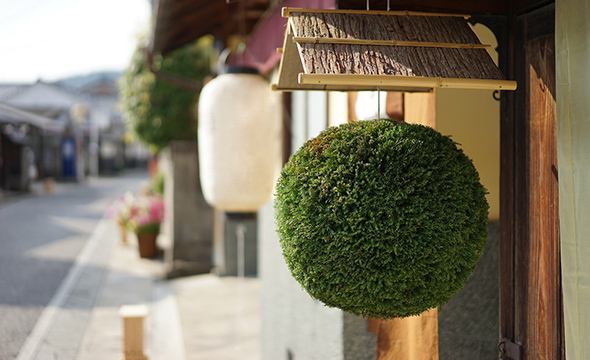 People get together and pour each other sake, thus developing strong ties, and passing on their regional traditions. Sado’s sake is, so to speak, a bridge that connects generations. A thankful feast is given at the houses where kadozuke is presented. 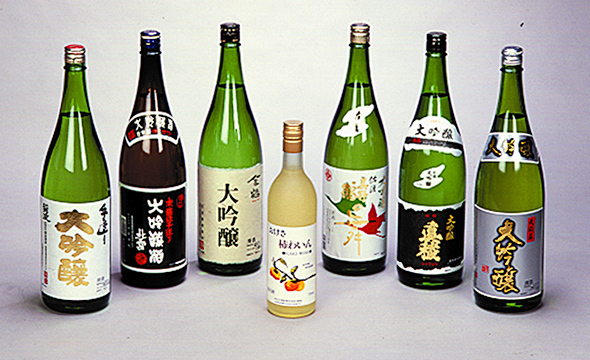 Sado's local sake is indispensable to festivals. 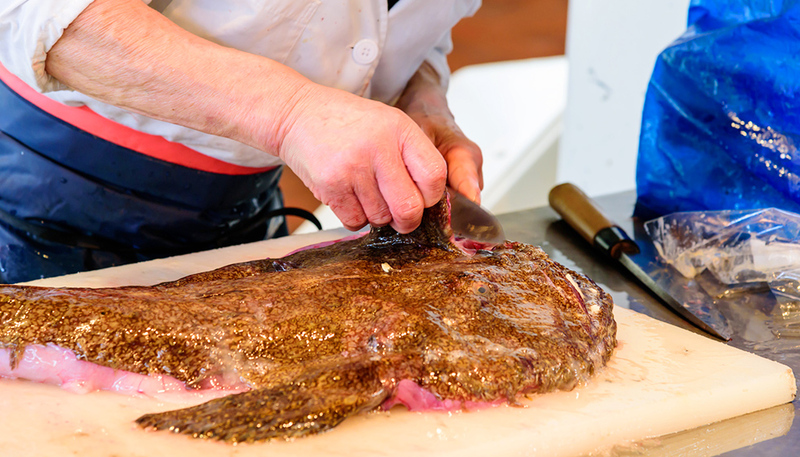 The best way to savor Sado’s local sake is to have Sado’s delicacies as tidbits. 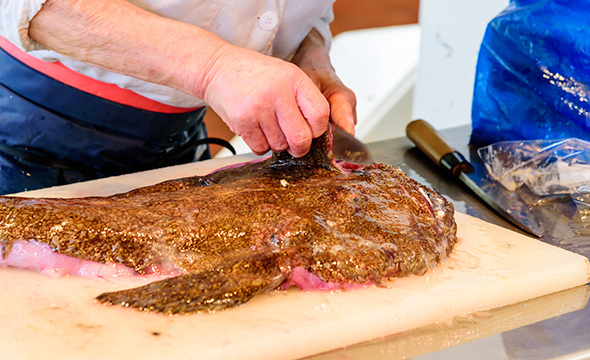 In winter a lot of local fish like anglerfish and cod are landed. They go very well with sake. 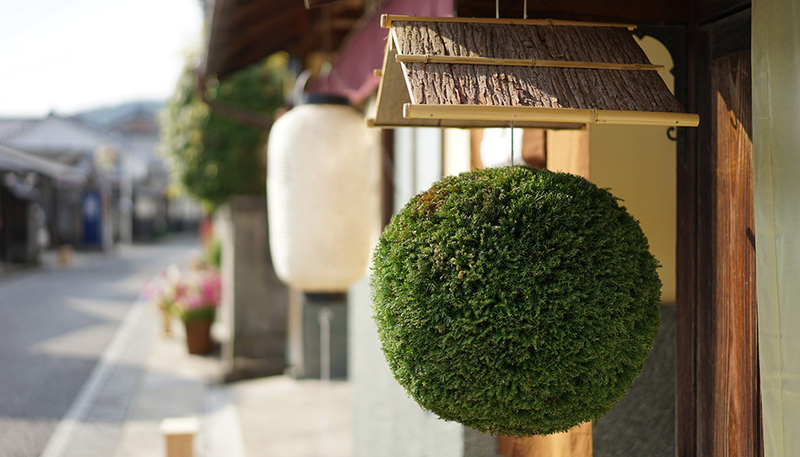 Many breweries offer sake brewing tours, and some hotels and restaurants have introduced economical sampling packages. 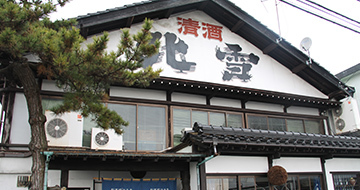 Please do visit Sado in winter to discover your favorite sake brand.